Sorry I've been a bit absent. We were out of town in Hawaii for over a week for a family reunion and it took a few more days to recover from all the fun and get caught up on things. Both of these lucky ladies have been contacted and their fabric has been mailed off. I know Kellye has received hers and Sara's is likely still on the way, since she lives all the way in Australia. Ther'es also already been one surprise package and Hogwarts Letter that's gone out to one of our lucky participants, and I'll be sending out another surprise Hogwarts Letter today, so keep an eye on your mailboxes. If this is your first time hearing about the Harry Potter Quilt Along, this is a chance for us to encourage each other and share or progress. It's free to participate in the Quilt Along, but you do need to purchase one or both of the Quilt Patterns we're using. 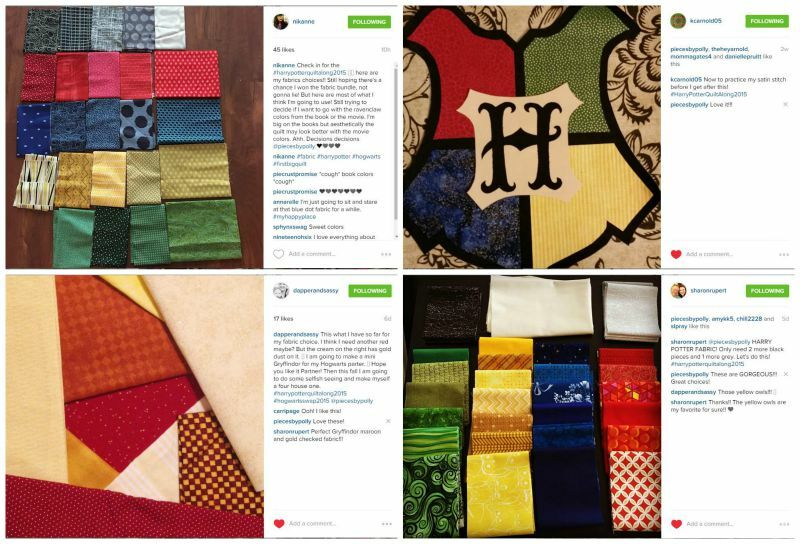 Go to Pieces by Polly Quilts on Etsy and purchase either the Hogwarts Crest 4-House Quilt or the Single Hogwarts Crest Quilt Pattern. 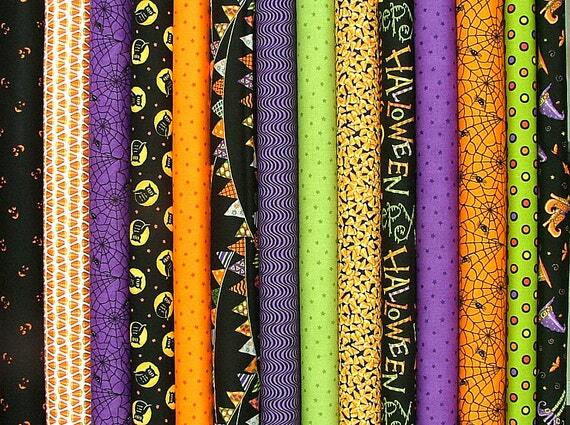 You can also purchase both patterns together for a savings here. It's not too late to sign up to sew along with us for the Harry Potter Quilt Along. So sign up, see the form at the bottom of this post. To enter the second giveaway, everyone was supposed to have their fabric choices posted by today...but I kinda dropped the ball in reminding you...so what's a girl do to except giveaway giveaway a shop gift certificate NOW and choose another two winners at the end of this week?1?! 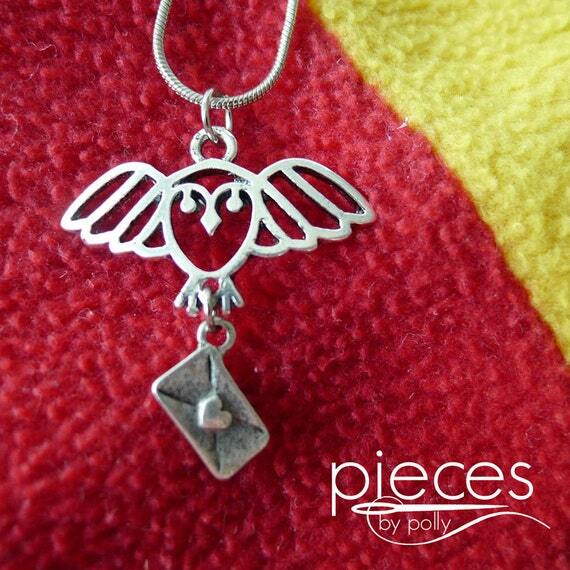 So congrats to Nik C. You're our first winner of a $25 gift certificate to Pieces by Polly on Etsy. You can get to know her better on Instagram @nikanne. And there's still a chance for the rest of you to win your own $25 Gift Certificate too. We'll choose two winners again. 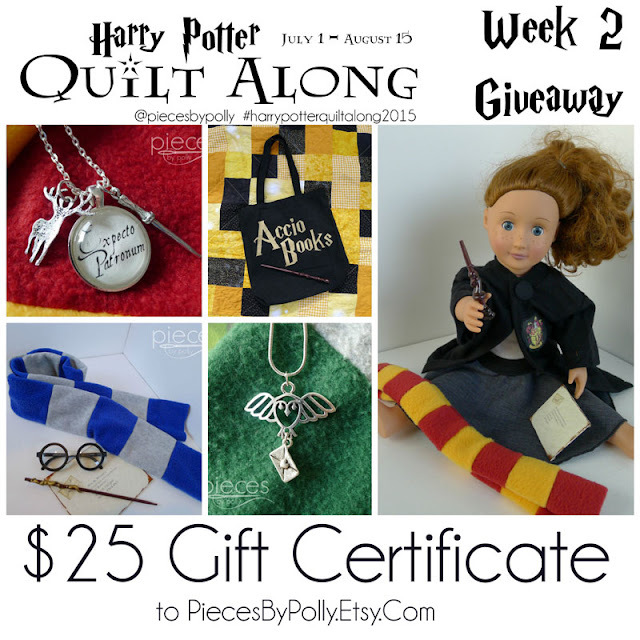 One winner will be guaranteed to be a Harry Potter Quilt Along participant and the other winner could be anyone (participant or not), so everyone should enter. And after you've entered the giveaway, I just wanted to give everyone a head's up that Marissa at Raegun Ramblings is doing her big Happy Harry Potter Event again this year. It starts today and ends on the 31st (Harry's Birthday). I'm contributing some projects to it and there are lots of other bloggers involved as well, so you'll want to be sure to check it out.